When my mom owned stock in pre-Obama GM, one time she gave me her ticket to attend a GM stockholders’ expo at a fancy hotel in Dallas. I’ve still got the ticket stub and invitation somewhere. This was before Der Fuhrer Obama took over the company and made the stock that my family had owned for over fifty years worthless. Which is just one of many acts I will never forgive Comrade Obama for, but one of the most infuriating. But that is another story. So here I was, a twenty-something nobody walking around with all these rich people and businessmen among displays of cars, trucks, and auto tech. I even missed a day of work to go to the show. Two things stand out that I can remember quite clearly and much better than anything else that was there. The first is the food. Coming from humble origins, I didn’t get to taste fare like that too often. 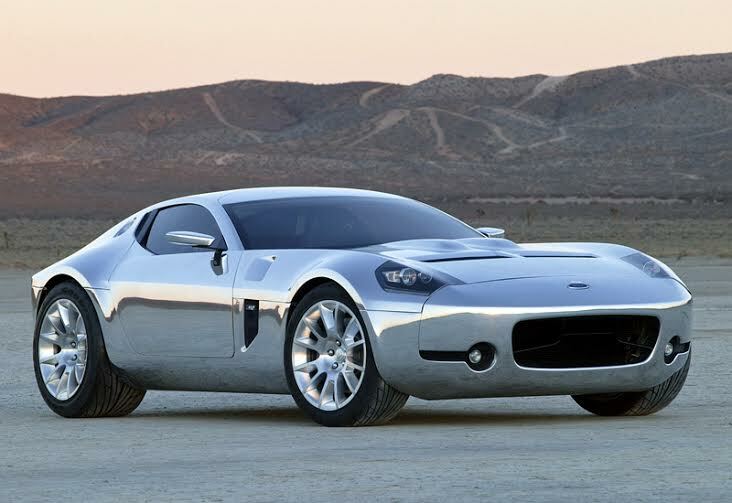 The second was a concept car called the Pontiac Banshee. At the time, it was coolest, most awesome vehicle I had ever seen live and in person. It even had its own security guard. They let you look inside and at heads-up display on the inside of the windshield, which was state of the art at the time. But they wouldn’t let you sit in it. And I wanted to very badly. This was a new experience for me. What I wouldn’t have given to take it for spin out in the hotel parking lot. Where I grew up and lived a lot of my life, we didn’t see very many exotic cars. The big thing there was seeing the occasional Porsche 911, especially if it was a Carrera, and the odd Jaguar now and then or a Triumph here and there. American muscle cars were common, but not European sports cars. No Maseratis, no Lamborghinis, no Ferraris. The closest we ever came to seeing one of those was in a car magazine or on a poster on someone’s wall. Or on Magnum, PI. So seeing the first Pontiac Banshee (1988 version) before it even entered production was a big deal for me. For years after that, I kept waiting for it to come out, so I could tell everyone that I saw the very first one ever made and almost got to sit in it. It was so cool, I thought Pontiac just had to make it. If they didn’t, they were fools throwing money away on lost potential sales. And it had a great name, too. But it never happened. 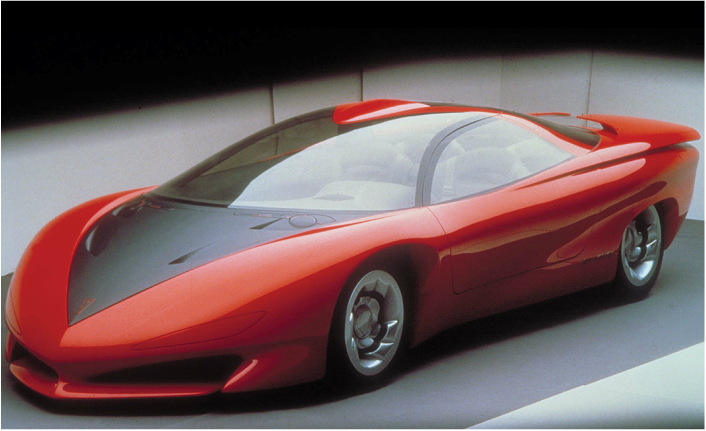 The Banshee became just one of hundreds, maybe even thousands of concept cars that never made it to market. Some for good reason, some for not so good reasons. Especially when you look at some of the wretched cars that did make it to production, such as the Pontiac Aztek and the Nissan Cube. So to celebrate and commemorate my close call with car history, I’ve compiled my list of concept cars that should’ve been made, instead of just being one-off prototypes. I know there are numerous such lists in print and on the internet, but with my recent conversion to Gearhead and ascension to Petrolhead, I felt obligated to provide my own, in no particular order. 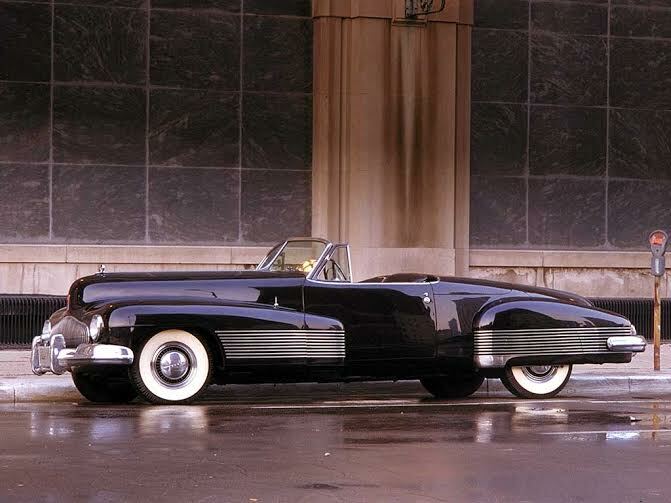 At one time Cadillac stood for class, size, and luxury. After years of mismanagement and decline, now when thinking of luxury cars, Cadillac is an afterthought, if it is thought of at all. Cadillacs used to stand out and be instantly recognizable. Now they’re virtually indistinguishable from any other vehicle on the road. One model could’ve changed all that and brought the Cadillac brand back to the forefront of size, power, and luxurious motoring. 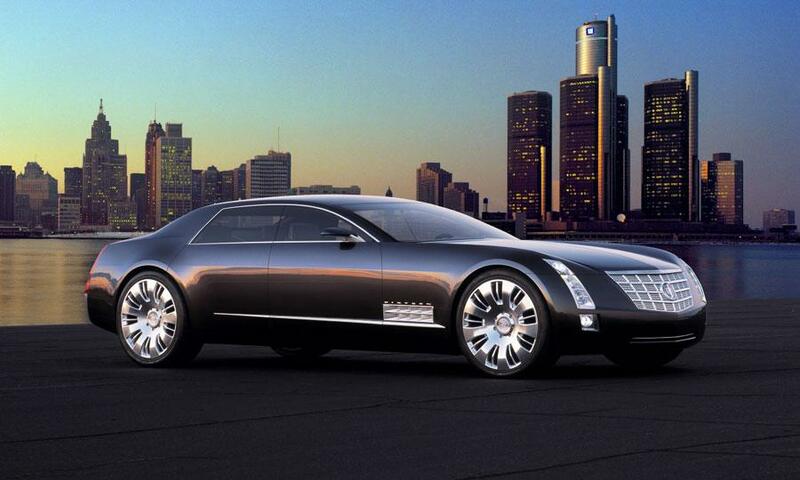 The Cadillac Sixteen, however, was never put into production. And such a pity, because this car, with its low, long, sleek lines just looks like a toned-down version of the Batmobile or a police interceptor that could eat you alive. As far as luxury cars go, this was one of the most sporty, beautiful, and powerful ones ever made, and could’ve put Cadillac back on the map. Built by Harley J. Earl, the first head of Design and later Vice President of General Motors, and the father of the concept car, the 1938 Buick Y-Job is currently regarded as the one of the first concept cars ever built. Though it was never put into production itself, elements of its design were incorporated into other Buick models well into the 50s and even lives on in another one-off car, the Buick Blackhawk, which is virtually identical to the Y-Job but built with modern technological advances. 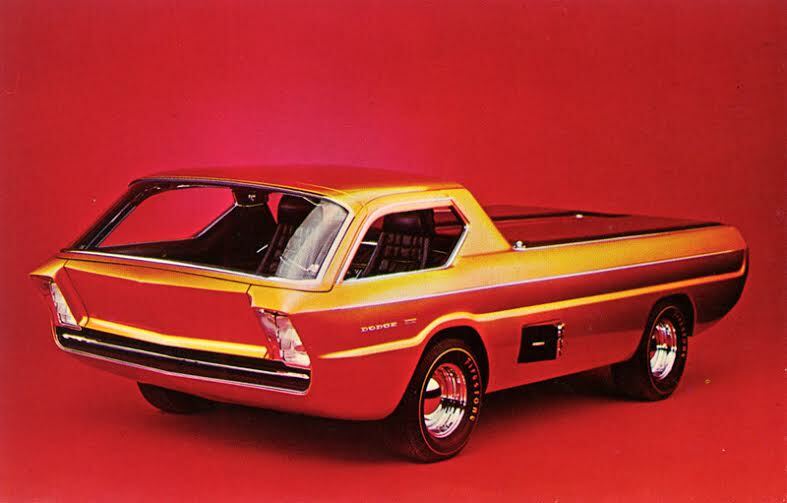 The Dodge Deora is like a Hot Wheels car come to life. In fact its miniature version was included in the very first Hot Wheels set ever made. The sad part is that while there were thousands of Hot Wheels-sized Deora’s produced, the full-size version is one of a kind. 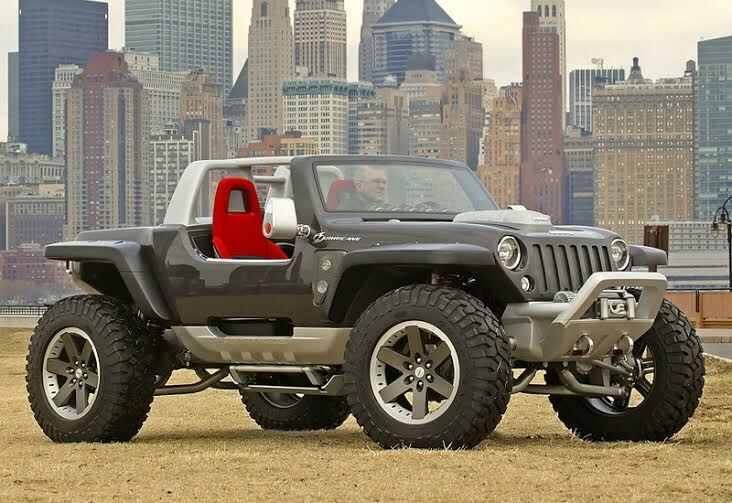 Though it won many awards for design and innovation, and was considered for production by Chrysler, unfortunately those plans never came to fruition. Years later, Ford came out with the 73 Ford Explorer concept with an appearance that looks completely stolen from the Deora. It, too, never made to the assembly plant stage. The Banshee is unique in that it has been the name of not one but of four Pontiac concept cars over the years. Paradoxically, none of them ever went mainstream. The first, Banshee I in 1964, ironically led to the Chevrolet C3 Corvette, in a highly politicized corporate environment at GM. The second, Banshee II in 1968, didn’t make it into production with the Banshee name but its innovations were incorporated into the Firebird Fiero. Banshee III in 1974 was a design exercise that laid the groundwork for later Trans Ams but was never produced as itself. The last, Banshee IV of 1988, the one I had the pleasure of seeing in person, was another exercise in design that should’ve merited production on its own, but in some ways was too far ahead of its time. Later Firebirds and Camaros borrowed from it, as did the Knight Industries 4000 of the TV show Knight Rider 2000. 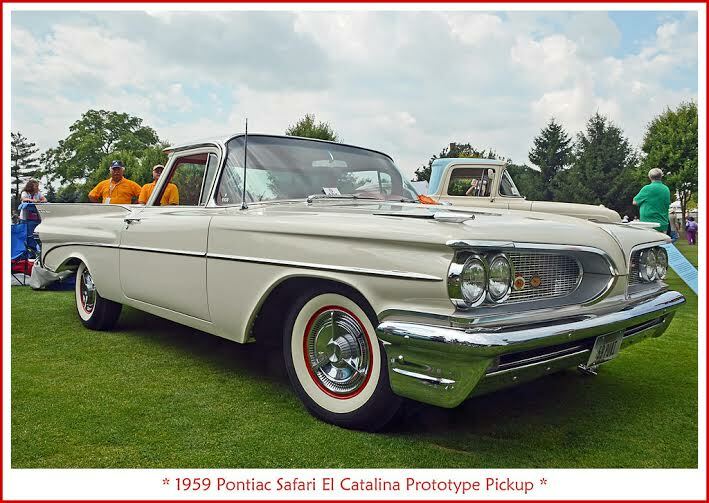 Originally called the Catalina Safari Pickup, the El Catalina was Pontiac’s answer to the Chevrolet El Camino and the Ford Ranchero. It was a beautiful utility vehicle with the lines of a 59 Catalina Safari wagon combined with the bed and cab of a 59 El Camino. However, since ute sales were so small at the time, GM execs feared, and probably rightly so, that the Catalina Safari Pickup would cannibalize sales from the Chevy El Camino. So they killed the project. The only El Catalina completely finished was slated for destruction and only by a series of chance encounters was it saved from that fate. After extensive restoration years later, we can still look upon this gem and think of what could’ve been had GM not wanted to protect sales of the El Camino. With just the name Shelby attached, you know this car would be beautiful, powerful, and fast. The Shelby GR-1 is a descendent of Ford muscle cars of the past. This Shelby is a missed opportunity for Ford to compete with European supercars and should’ve been produced in at least minimal quantities.